In the follower near Ogami who usually believes, all the relatives gather to celebrate departure of two new life with the feeling of the thanks to the conventional life, and the God former marriage promises to Ogami all together, and the acquaintance of both families continues to posterity for a long time from the start, and the ties of the bridal couple are ceremonies wishing you no more and more success together. I serve it in ceremony, main hall "Sanshin enshrining of more than two deities" who is a Tohoku that prospers again as Dewa Sanzan faith, the head temple of a Buddhist sect of the Haguro mountaineering asceticism, and has the history for 200 years, and received the designation of the important cultural property of the country in 2000's best wooden construction building that the wedding of our Shinto shrine was built in 1988. 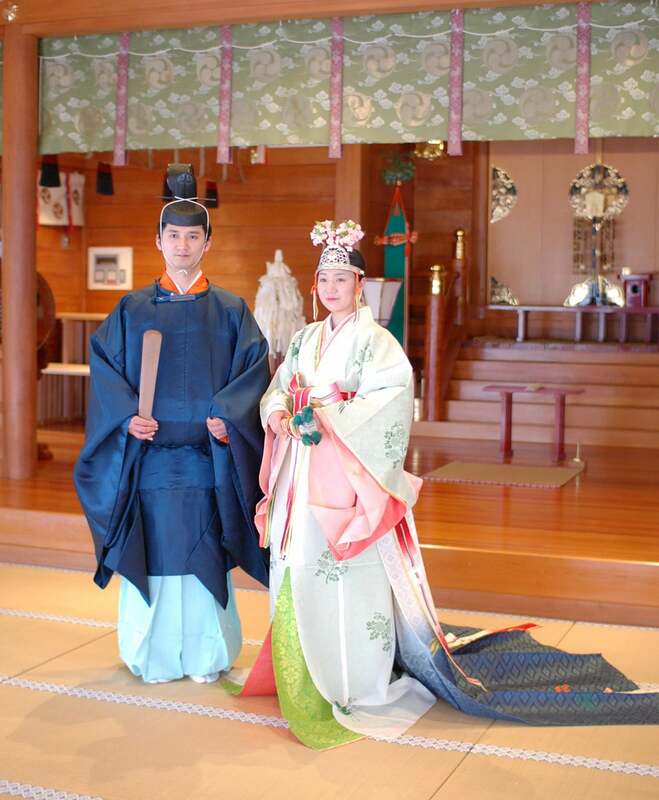 An Imperial son of the (593) 32nd charges Emperor Sushun, Prince bee child become a founder in the Emperor Suiko first year and put 1400 before meeting, God of historical Ogami more in 1993 and, as a ceremony of the oath, wait for a proposal. 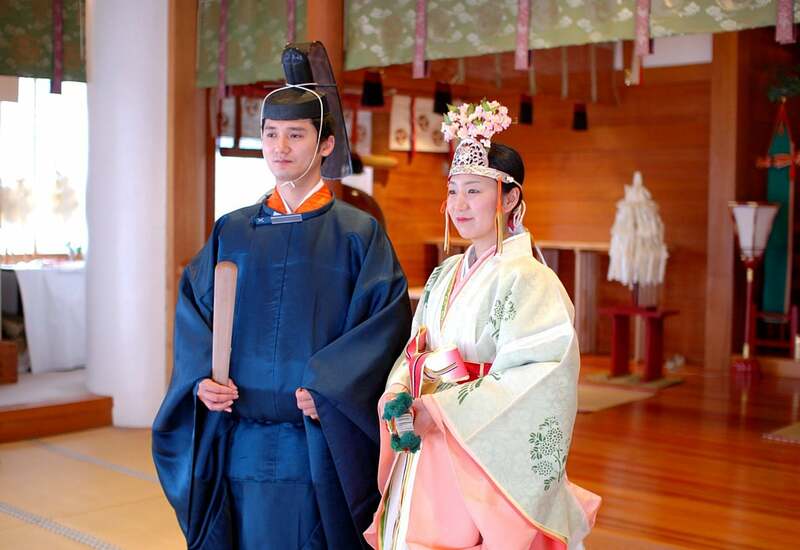 ※The pine-type attire prepares for a bridal couple in a Shinto shrine, and a Shinto priest, a medium does service of the wearing. As for the pine-type attire, please see a lower photograph. Please see it from wedding brochure this. 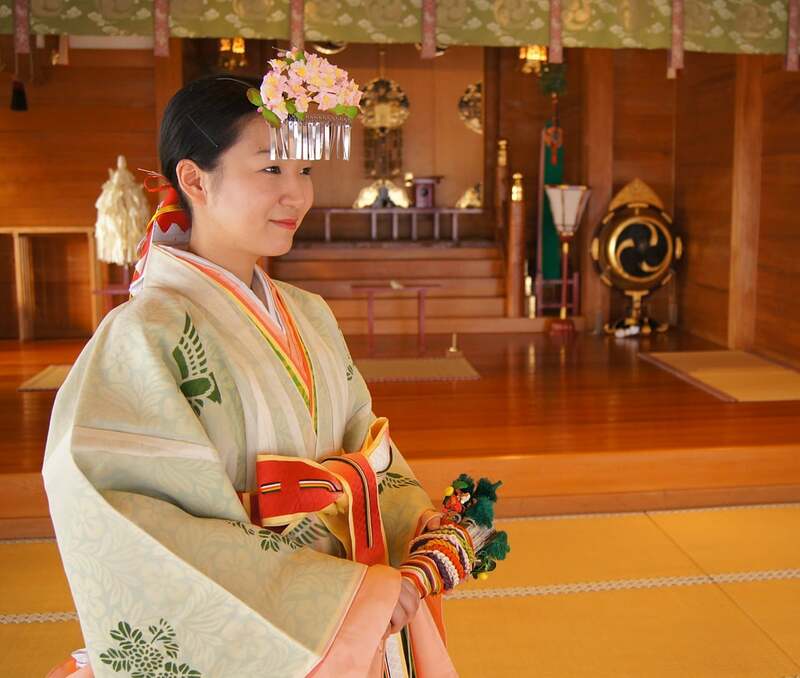 ※Please contact a Shinto shrine for the mail one such as brochures desired. ※As for those who wish to hold a wedding ceremony in us, the next mountain is happy after having inquired it beforehand when I have.